A late-night altercation at a bar in Manchester, New Hampshire, cost one of the bouncers part of his finger. 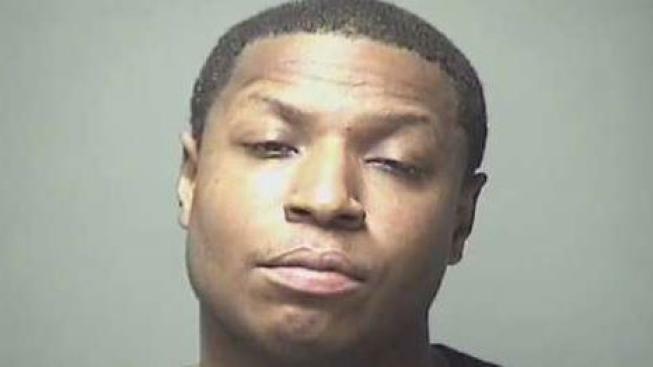 A New Hampshire man is facing numerous charges after police say he bit a bouncer's finger off during a bar fight on Wednesday night. Gregory Geneus, 37, of Manchester, is charged with second degree assault, simple assault, criminal trespass and violation of bail conditions. He was scheduled to be arraigned Thursday in Hillsborough County Superior Court. Manchester police said they responded to McGarvey's around 9:40 p.m. for a report of an altercation. The 30-year-old victim told police he was working inside the Elm Street bar when he attempted to remove Geneus from the establishment. Police said Geneus struck the bouncer with a closed fist on more than one occasion, leading the bouncer to place him in a bear hug. At this point, Geneus allegedly bit off a portion of the bouncer's finger. The severed finger was later located inside the bar. "Absolutely severed a pice of the finger right off," said Lt. Brian O'Keefe of the Manchester Police Department. "He put [Geneus] in a bear hug, at which time the person placed in the bear hug bit the top of one of his fingers off." Geneus was taken into custody. He waived arraignment Thursday afternoon. The victim was taken to a local hospital in an attempt to reattach the missing portion of his finger. Police said they were not sure if doctors were successful. Local residents were not surprised by the violence, but they were shocked at the loss of a finger. "You would hear more that something else happened, like a stabbing or shooting, but not getting your finger bit off," said Angela Reyes of Manchester. "I feel bad for the bouncer because he was just doing his job."